Sorry to disappoint... been slacking yet again. Yeah right. I ought to be shot for promising something that I could not deliver. However, this post is something close to our hearts. 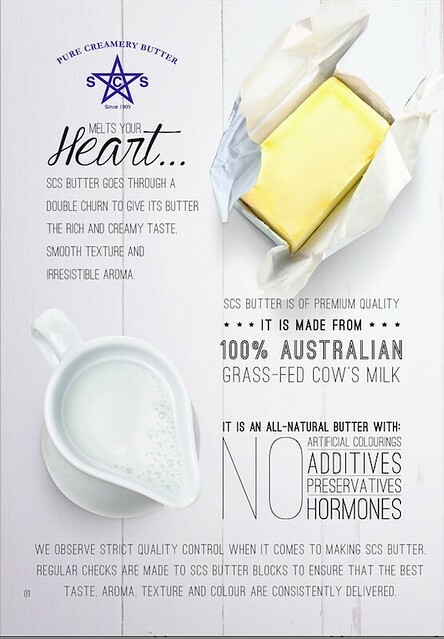 It's our love affair with SCS Butter, particularly Capn't Hook. There's always this withdrawal syndrome in him when he see his slab of salted SCS butter has grown smaller in size. Hence, I always have a block or two in the freezer on stand by. He loves it with kaya... almost an everyday affair for him spreading kaya and SCS butter on the bread that I made these days. There are many ignorant consumer, really, even these days. Just when I thought our consumer these days are well read or informed. How I found out is based on the participants who came for classes... we tend to get questions like what brand of butter and where do we get them etc. We are surprised that many have thought butter-like-blocks labelled as "butter blend" are 100% butter. When we informed them that they're blended with vegetable oil, their reply would generally be "Ohhh no wonder they're so much cheaper!!!". And so here I am, informing you that anything that is labelled as butter blend IS NOT 100% butter. If you're making cookies especially, I doubt you could get that special butter aroma and texture for cookies made with real butter. Also, please... try not to use margarine. I have to agree to this lady who always tell me "If you plan to eat something laden with calories, make it a good one" hehe... so butter it is! Christmas and New Year have gone by and by now, when you walk into any malls or shops, you'll be greeted by a sea of red. It's time to usher in the Lunar New Year. 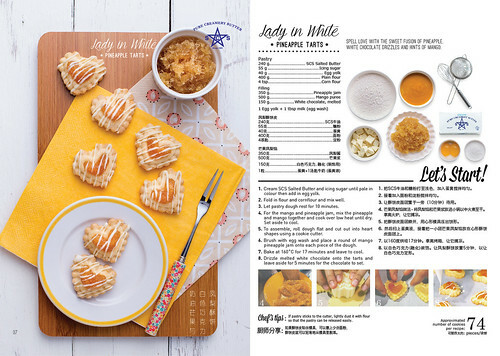 As Chinese is always particular with good wishes and prosperity, pineapple tarts tend to be a must in almost every household as pineapple is known as "ong lai" in Hokkien language which means prosperity come literally. 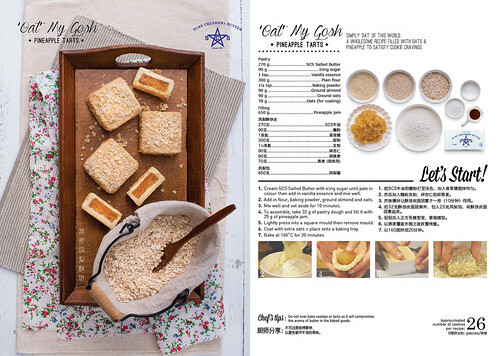 I still remember my aunty showing my mother how to make pineapple tart once when I was really young. 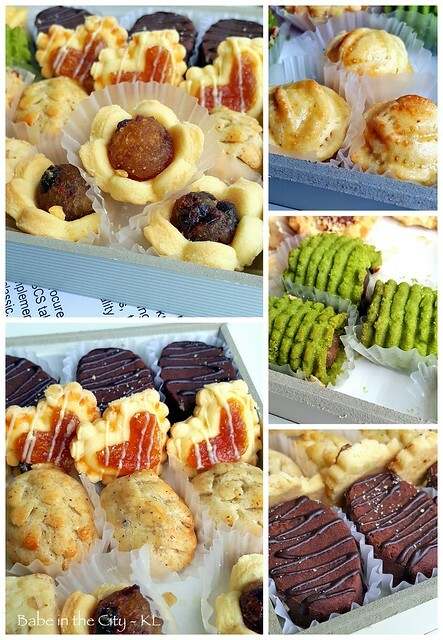 Maybe being wai sek (gluttony), even after so many years, I still remember the measurement for the pastry. It's just merely one pound of flour and one pound of SCS butter, no less. 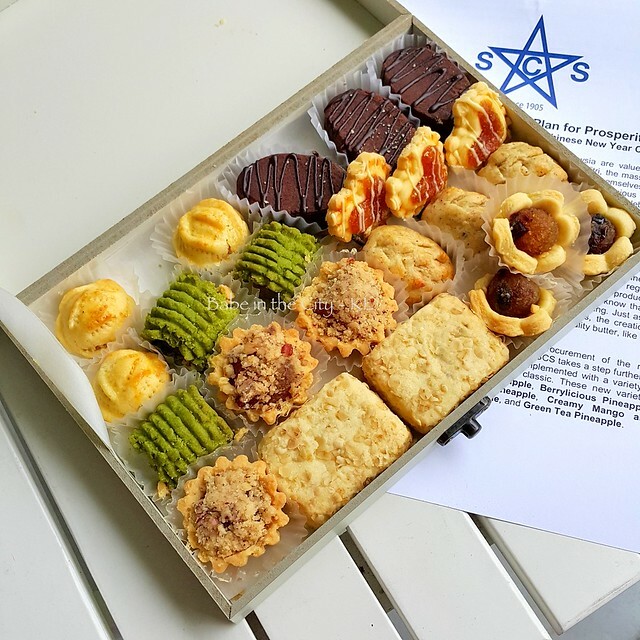 In the recent years, pineapple tarts have revolved into many patterns but what is interesting this time round is SCS Butter have came up with 8 varieties of them, not only in terms of looks but flavours as well. 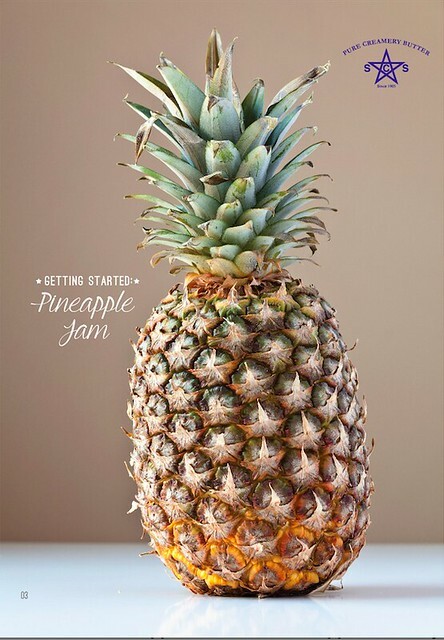 They are Pineapple Cream Cheese, Pecan Pineapple, Berrylicious Pineapple, Chocolate Brownie Pineapple, Caramel Pineapple, Creamy Mango and Pineapple White Chocolate, Oatmeal Pineapple, and Green Tea Pineapple. 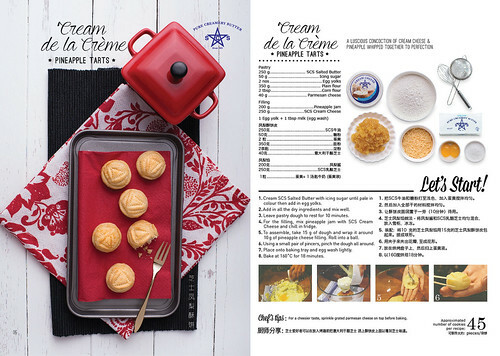 SCS Butter is giving away the booklet containing these recipes at selected supermarkets this month onwards. 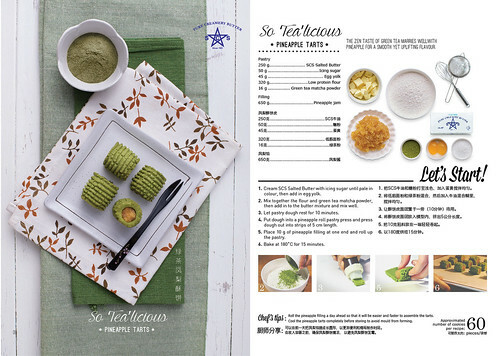 There will also be an online-driven pineapple tart contest. Just watch out for the announcements on their Facebook page. 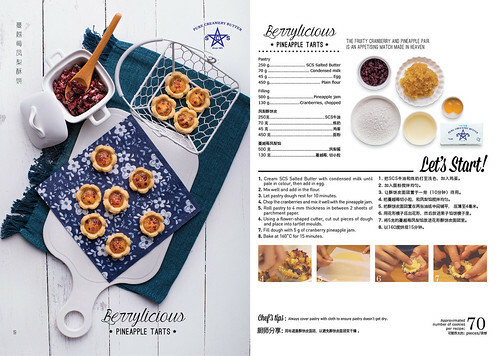 To make things easier since describing in words can be quite challenging, there are videos on how to make these tarts on SCS Butter YouTube Channel. 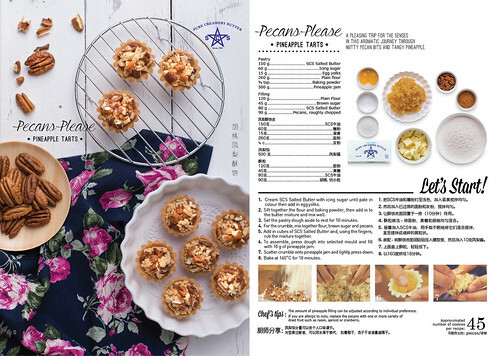 SCS Butter is kind enough to share these recipes so here they are. Just click on the respective picture and download them via flickr. 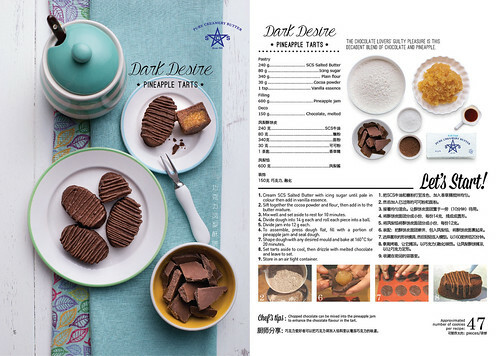 For the full booklet, check out the album here. 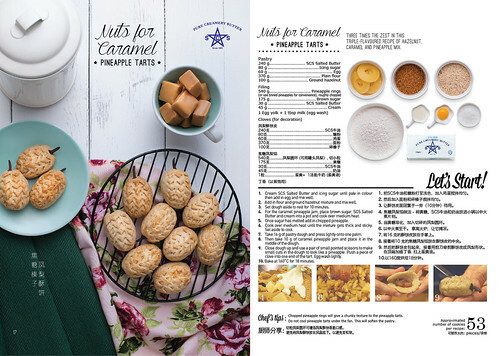 Thank you SCS Butter Malaysia to make this happen. Yes, great way to usher into the new year. I have tasted the Sarawak pineapple and they are sweet. 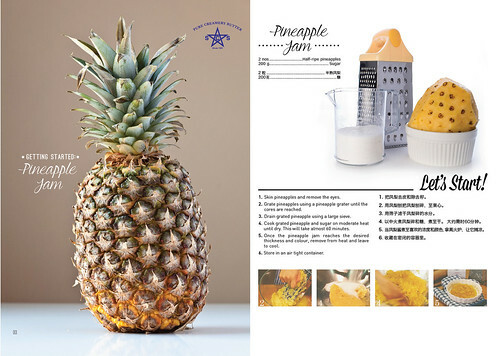 To enlighten readers, if the stump is large like this it means that the fruit is very sweet....Bario pineapple is the sweetest of the pineapples grown in Sarawak.